I particularly enjoy seeing a little girl not in pink or done up cutely. Not even dirt Which usually works for Potato. It even sheds some light on the potato-personality question. The illustrations are outstanding--similar to Mo Willems in the way that a few lines and relatively simple drawings perfectly capture the thoughts, feelings, and emotions of these three friends. I like books about it being okay to just feel sad. I think it is a good, fun book and the illustrations go along with it very well. Michael lives in Connecticut with his wife and two children. Personalized books must be paid for in advance. And in a book with such limited text, how does an illustrator fill in the story gaps, give each character a distinct personality and show real emotions—especially when one of the characters is a starchy tuber? 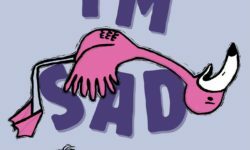 In the end, Flamingo learns that he will not always be sad, while his friends learn that sometimes being a friend means you do not have to cheer someone up. With a reading from this they can see that in comparison to a potato, kids have more interesting things to do. But nothing she proposes—ice cream, hockey, spy stuff—works. No matter what she does, his response is the same: Boring. It's two friends a grumpy potato and a cheerful little girl try to cheer up Flamingo, but Flamingo's sadness just doesn't budge. 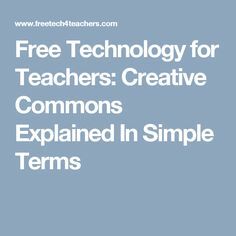 Have I ever been in the company of children who've uttered those two classic words? 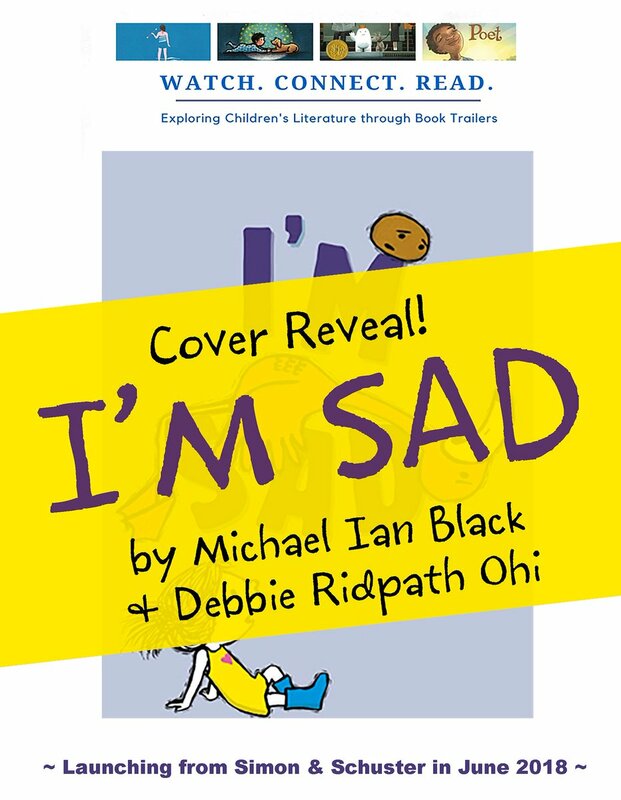 All in all, I'm Sad is a wonderfully written children's book that sadness is a valid emotion and how to deal with someone that is feeling particular sad. A tree sheds its bright fall leaves. 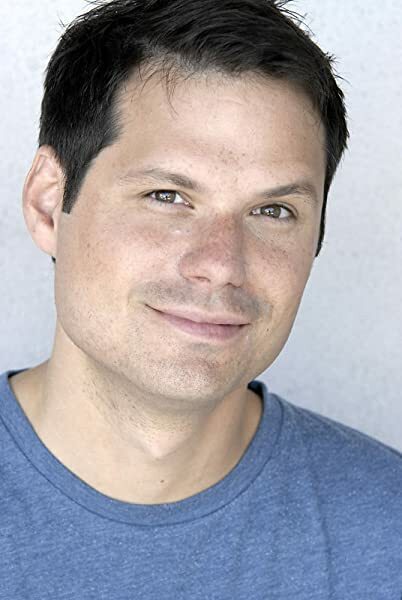 This tongue-in-cheek twist on a familiar topic is sure to entertain anyone who's ever been bored--or had to hear about someone else being bored--and is filled with comedian Michael Ian Black's trademark dry wit, accompanied by charismatic illustrations from newcomer Debbie Ridpath Ohi. I loved hearing her change her inflection throughout the dialogue, using diferent voices for the little girl and the potato. How would this oddball cast of characters take on this very real human emotion? I think the illustrations in this book have a good balance between things on the page and different colors used. This is one book that is anything but boring. The potato, it seems, likes flamingos very much. I'm certain one day my grandkids will say it, but then I'll pull out this book to challenge them to show me all the non-boring kid things they can do. We meet a girl, a potato, and a sad flamingo who talk over their thoughts and feelings before coming to realize it's ok to feel sad. I plan on being an elementary teacher, probably k-3. That art is gloriously old-style, hand-drawn in ink with a bamboo pen. 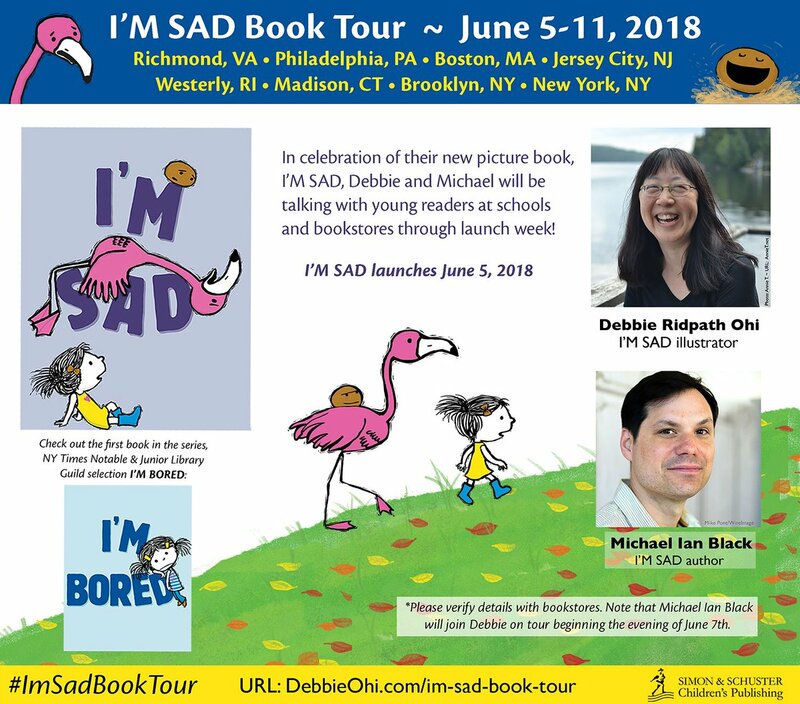 About the Illustrator Debbie Ridpath Ohi is the illustrator of I'm Bored, a picture book by Michael Ian Black. High praise from 7 year olds! You just have to stick by your friends no matter how they feel. She is so bored that she starts to talk to a potato. It would rather have a flamingo. But then Black adds insult to injury. Our kids said it when they were kids. We're always happy to set a signed copy aside for you or put one in the mail. The potato tells her that she is in fact boring; all kids are boring. After sitting around being bored, the girl finds a potato to play with. No matter, the potato is still bored. As the mom of a special needs child, I would have enjoyed this series when my child was a bit younger. Flamingo learns that he will not always feel this way. I loved this book so much I bought two copies--one for myself and one for a three-year-old boy I love. It's about a little girl who's bored but then meets a potato who is bored as well. The cover art was exactly the playful vibrant sketches I have come to love from her and exactly the thi I follow artist Debbie Ridpath Ohi on Twitter because a retweet of her whimsical doodles encompassing everyday objects made my news feed so much more fun to visit. The book begins with a little girl who is bored. I loved the illustrations as well. The illustrations are done in bold black lines, filled out with some color, and the characters really stand out; there is little to no background in most of the spreads. This book would be great for students second grade and younger to inspire children to use their imagination and find fun things to do when there is nothing else. I recommend this for ages 2+, but it would make a good read along for even younger readers. The narrative is entertaining and the pictures are fun, too. I really enjoyed how simple these images were- they really went well with the feel of the story and complemented the humor in the story well. The little girl and potato managed to get flamingo to laugh, but he was still a little sad, which is okay.